2014 is drawing to a close (this year really didn’t “register” for me…as late as last month I wrote “2013” on a personal check)! In an effort to wrap-up some reviews before Christmas, and 2015, I’m tackling three fragrances this week. 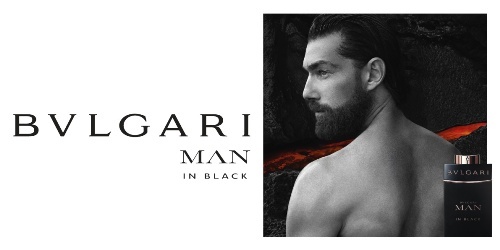 Bvlgari recently launched Bvlgari Man in Black — a flanker to 2010's Bvlgari Man (and let’s not forget Bvlgari Man Extreme either). I was excited about Man in Black for one reason: its notes list1 included…TUBEROSE! Man in Black goes on smelling sweet: with lots of cardamom and “liquor”; there’s a faint undertone of powdery leather mixing with stronger benzoin, tonka bean and guaiac. Man in Black’s aromas are nice (if uninspired) but I’m sad to report its purported flowers (tuberose, as well as iris) are overwhelmed by tonka bean. Though I can make myself smell some iris, I don’t detect any tuberose (maybe just a moment or two of a mild white flower scent). Man in Black would be a good perfume for men who like straightforward, non-quirky, spicy-woody (accent on tonka bean!) fragrances. Bvglari Man in Black Eau de Parfum has good lasting power and sillage; it’s available in 60 ml ($72) and 100 ml ($92). Niche line Nasomatto has launched its tenth, and final, perfume: Blamage.2 According to press materials, Blamage “is an unwise and unfortunate creation caused by bad judgment and care.” I can’t comment on Blamage’s creator’s/creators’ wisdom or judgment, but I can say Blamage is my least favorite of all Nasomatto perfumes (and I like lots of them). Blamage goes on smelling of cheap-candy and plastic-y aldehydes. For the first few minutes’ wear, the perfume seems to be having a nervous breakdown and all sorts of aromas mingle but never click: cheap florals, green, almost onion-y, stems, sweet/gourmand scents. Within five minutes on my skin, a staleness settles over Blamage (as if I'd been wearing the perfume all day) and the fragrance seems to vanish. BUT: there’s a revival, as sweet, fuzzy (artificial) woods (Iso E Super galore?) take over for the duration; the “woods” combine with milky vanilla and (mild) floral notes. After the woods kick in, Blamage lasts and lasts, and even starts to broadcast itself — widely. Overall, Blamage seems banal, unfinished: weird and mainstream at the same time. Maybe that’s an achievement! Maybe others will love it. One thing I LOVE about Blamage: its bottle. Nasomatto founder Alessandro Gualtieri has recently launched the Orto Parisi brand; please comment if you've tried any of those perfumes. Nasomatto Blamage is available in 30 ml Extrait de Parfum, $185. Last summer, Comme des Garçons launched Wonderoud,3 which (supposedly) contains, among other ingredients, 100 percent natural oud. I’m not an oud-hater; the challenge to brands and perfumers is to make a new statement with the material…not endlessly pair it with saffron, rose, sandalwood and patchouli. Isn't there a crazy combo of oud and XYZ waiting to be discovered and bottled? Wonderoud begins with natural-smelling "oily" oud (almost “motor oil” scented); the oud is tough (not wrapped in spice and flowers). As it develops on skin, Wonderoud’s wood accord gives off a charred aroma. Almost every fragrance material listed for Wonderoud is discernible, but the standout notes for me are oud and guaiac (with a pungent cedar “after-aroma” that turns softer and sweeter in the extreme dry-down). Wonderoud is a simple perfume that smells really good and conjures up memories for me of visits to temples in Thailand, with their scents of teak, sandalwood, and incense. My only complaint? Wonderoud has mediocre longevity and almost no sillage; I reapplied the fragrance twice on days I wore it. 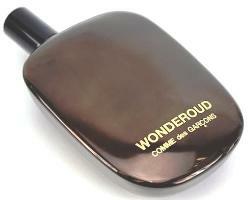 Comme des Garçons Wonderoud is available in 100 ml Eau de Parfum, $145. 1. Bvlgari Man in Black listed fragrance notes: rum, spices, tuberose, iris, leather accord, benzoin, tonka bean and guaiac wood. 2. You can see a preview of the documentary film The Nose — Searching for Blamage here. 3. Perfumer Antoine Maisondieu; fragrance notes of Texas cedarwood, oud, patchouli, sandalwood, vetiver, guaiac wood and pashminol (Givaudan molecule; sandalwood). Blamage comes across to me as an unfortunate name. Even pronounced en la manière française. Also, now I have another option for the tonka-loving dudes in my family. Not sorry about that. “Blamage” pronounced in the French manner is just a hair’s breadth away from being pronounced like “blancmange”, and pronounced as it would be in English it sounds like a decade-old neologism that never took root. I think it’s more than unfortunate: I think it’s stupid. But they didn’t ask me. R, nor me…how dare they! Ha! Yes, that’s exactly what I thought: blancmange. Mals…as far as tonka bean is concerned, it’s a good one! Mmmm Bvlgari Man in Black about tuberose? I took a look at the model and felt like yelling: THIS IS SPARTAAAAAAAA!!!!! Nile, really? I was thinking he was a softie…a tuberose behind his ear would look nice, especially on a warm beach. He looks well-groomed. IIRC, Spartan soldiers groomed themselves before battle. If you look at the promotional video, he’s not soft at all! He (Patrick Petitjean) kind of stares grimly into the middle-distance, while attempting to clamber all over some black volcanic rocks – sort of a Robinson Crusoe stuck on Kaimu Beach in Hawaii… All very rugged, but with a somewhat pallid, scrawny body. From what I can tell from the comments on the video on YouTube, Nile Goddess isn’t alone in finding him unattractive! As for Man in Black itself, got to say I love it. But probably takes an older guy to carry it off, I’d say. If you’ve ever seen men from the Pacific islands wearing their lavalavas (sarongs) with flowers behind their ears, they look very masculine. Bvlgari Man in Black = mature Spicebomb. VERY similar to Spicebomb, but more peppery, elegant. No tuberose at all. Wonderoud is a masterpiece to me. Antonpan…too bad my skin eats up Wonderoud…I really like it. AH! And here I was thinking, “Hmm. That Bulgari Man in Black” sounds like something my Mr. Spicebomb might like!” Sounds like you’d concur! Although it might confuse him–he’s already tested and considered buying “that one that looks like a hockey puck” (Bulgari Black)! I liked the spice in Man..but it was very much all about the tonka and benzoin. I didn’t get much floral or leather. Was wanting more iris and leather. Too bad. Omega, yeah…the fragrance didn’t showcase what I was craving. You’ve expressed exactly why I have a FB of Man in Black – tuberose with no tuberose smell and loads of tonka bean and benzoin. The only one of these that I’ve tried is Blamage (I also make the blancmange association, which makes me think of a Monty Python sketch involving alien blancmanges). Blamage was a scrubber on me. All I could smell was a harsh, spiky “wood” chemical that drowned out everything else. Man in Black does sound worth a sniff, though. Yes!! The Monty Python sketch was the first thing that came to mind. I wish they would use oud (well, fake oud accords, of course) in a lot of perfumes instead of those ubiquitous horseradish-woody notes. Gaah, those spikey woods have left a trail of carnage throughout the modern perfume world, which could ill afford to lose any more blood. So nice to hear that the tuberose is MIA in Man in Black. Now I really want to try it. It sounds like the press materials about Blamage are correct. It sounds like an unfortunate creation. Kindcrow…for me, Blamage is a bad ending for a good perfume line…would love to know how it’s selling. I quite like Nasomatto’s sense of humour…. So, I guess they wanted to close the line with a hint that they think all the generic mall / uninspired / launches are a disgrace to perfumery…. Man in Black looks interesting, and thank you Kevin for saving me the expense of Blammage. This should have been a no brainer. I LOVE oud. I tried Wonderoud today. For some reason, I was expecting something akin to M7 (I LOVE “original” M7). What I got instead was basically Encre Noire.